Below are the Top Things to do in Barcelona with great pictures and map! It is a long list as it really has a lot of places you should see and visit in Barcelona. While in Barcelona, you cannot afford to miss going to this wonderful church, La Sagrada Familia, which is at near completion status. That’s right. 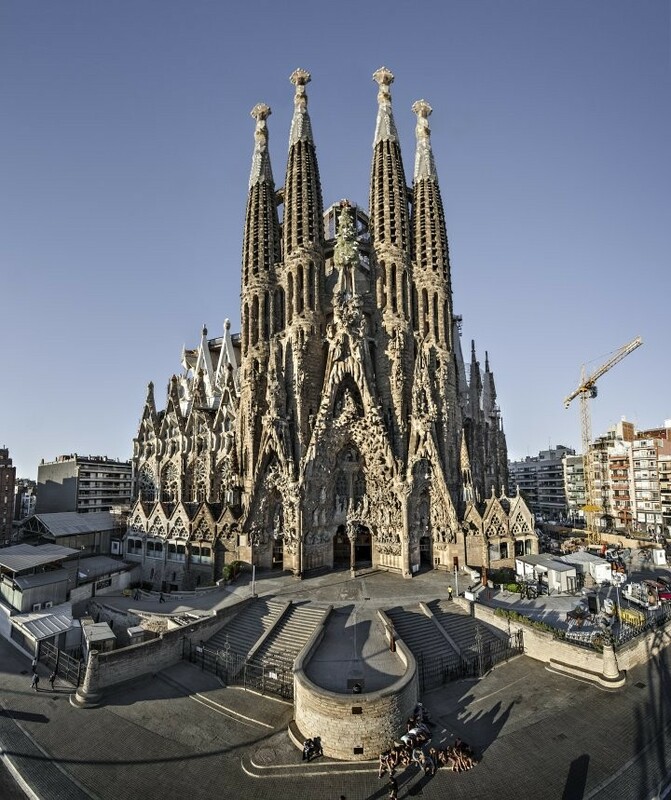 This church is not yet finished and it has already earned fame as one of the most famous attractions in Barcelona. You can go to its towers and enjoy watching things from a high place. The cathedral is planned to be conmpleted in 2026 – which is the 100th anniversary of the death of Antonio Gaudí, its architect. It will be 144 years since the construction beginning. Barri Gòtic is a Gothic district in the historical part of Barcelona. Here you can enjoy houses and buildings of traditional architecture and numerous monuments of historical character. Its center is made of Plaça Reial, mentioned below. The district is also a home to the beautiful Palau Güell from 1889, one of Gaudi’s first works. The heart of the Barri Gòtic is made up of the liveliest square in Barcelona – Plaça Reial. The square is lined with buildings with tall columns and arcades housing numerous shops and pubs (cervecerías). In the middle of the square is a fountain surrounded by palm trees and lights. 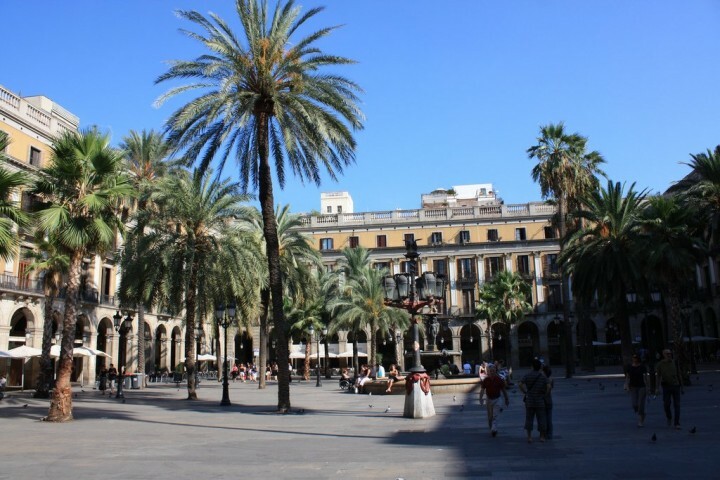 Plaça Reial is located next to famous La Rambla in Ciutat Vella and is considered one of the most beautiful squares in the world! 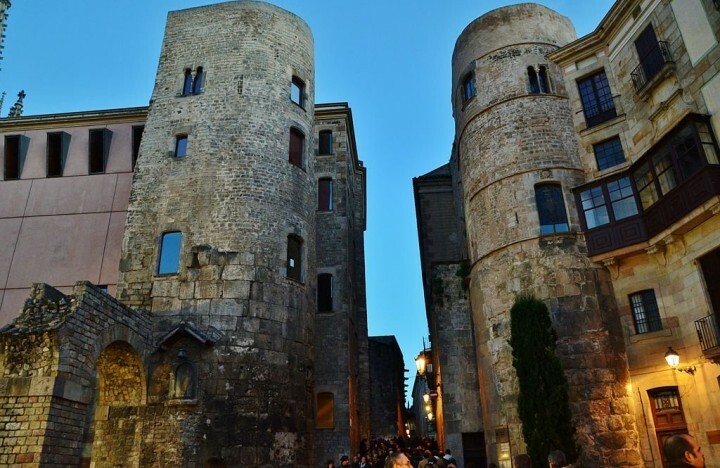 Plaça del Rei is amazing medieval square surrounded by the walls of Palau Reial Major. It is one of the oldest as well as the most beautiful squares in Barcelona. Missing this place on your trip would be quite a big mistake! Do not confuse Plaça Reial (mentioned above) with Plaça del Rei. Even though the names can look similar for foreigner they are two different squares! Plaça Reial means Royal Plaza and Plaça del Rei is King’s Square. In Barri Gòtic you can also find beautiful Palau Güell that dates back to 1889. It is one of the first works of Gaudí and the very first building ordered by Count Guell to be designed by Gaudí. 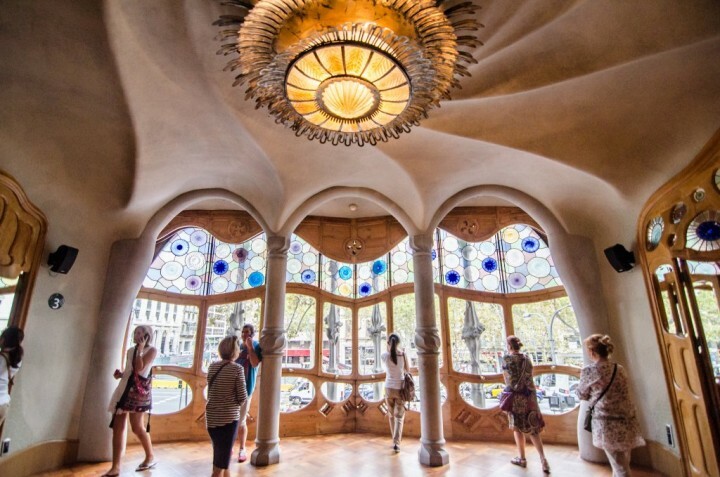 Even the furniture was designed by Gaudí as he used to make designs complexly as a whole. A visit to any place will not be complete if you are not able to visit famous churches in them. 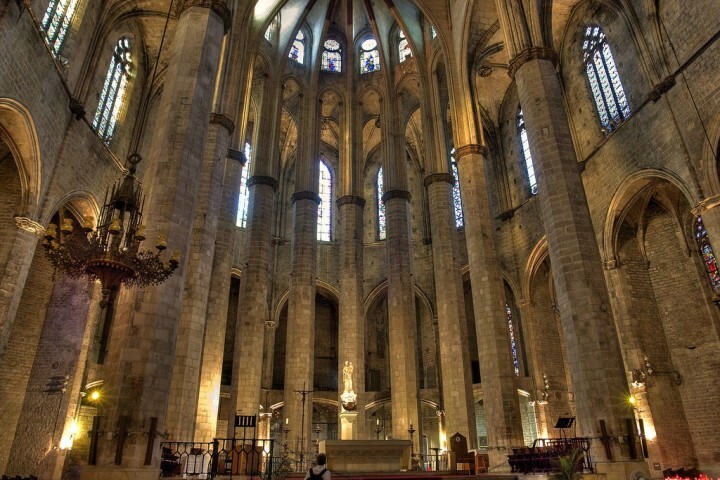 And in Barcelona, it is Basílica Santa Maria del Mar on the list. It depicts the invaluable faith and devotion of common porters that have worked hard just to aid in the construction of this now renowned church. 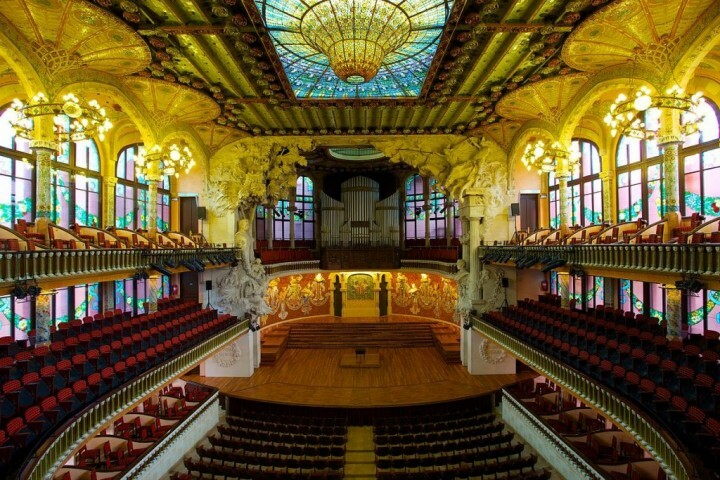 Beautifully decorated art nouveau building known here as Palau de la Música Catalana is actually a concert hall, where in addition to music, you can admire the extraordinary architecture. An architectural jewel among world’s music halls and a unique UNESCO World Heritage Site. 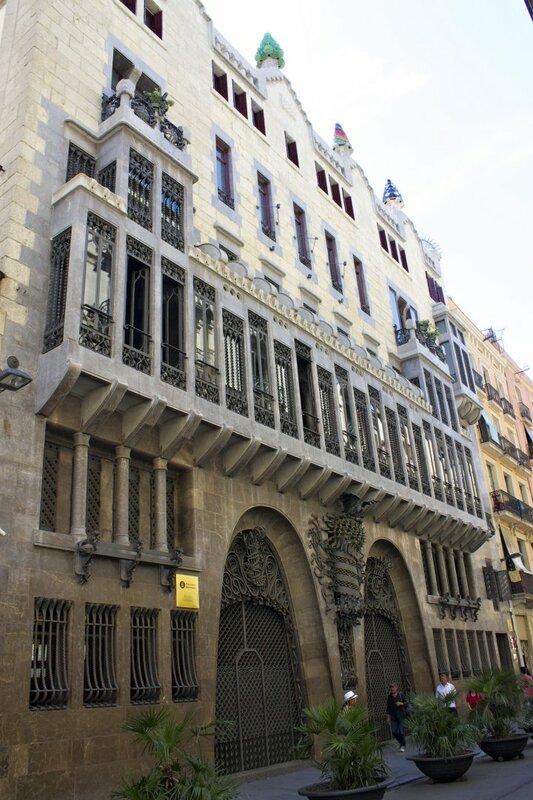 It was built over three years – between 1905 and 1908 – according to the design of architect Lluís Domènech i Montaner. 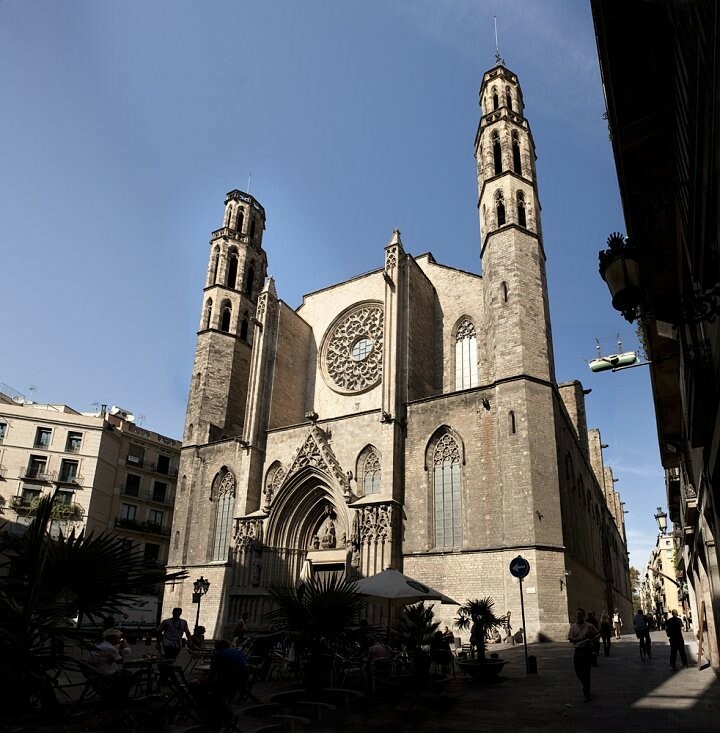 It was created as a centre of Catalan music and was funded from the city budget and from the private resources of the wealthy inhabitants of Barcelona. 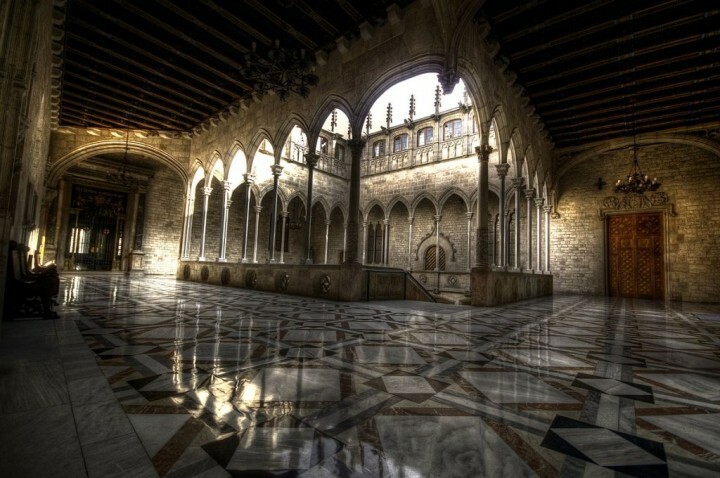 Palau de la Generalitat is one of the few medieval buildings in Europe that still serves to the government. 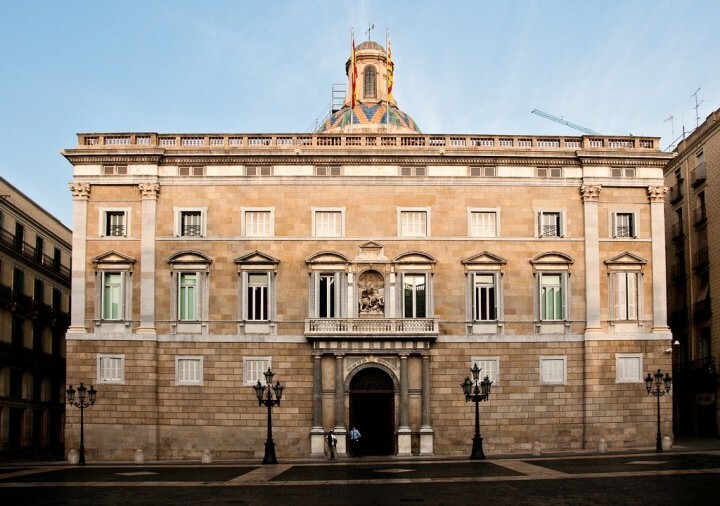 Since 1359 up to this very day this palace has already served to 128 Presidents of the Generalitat of Catalonia and it is one of the Catalanist symbols. 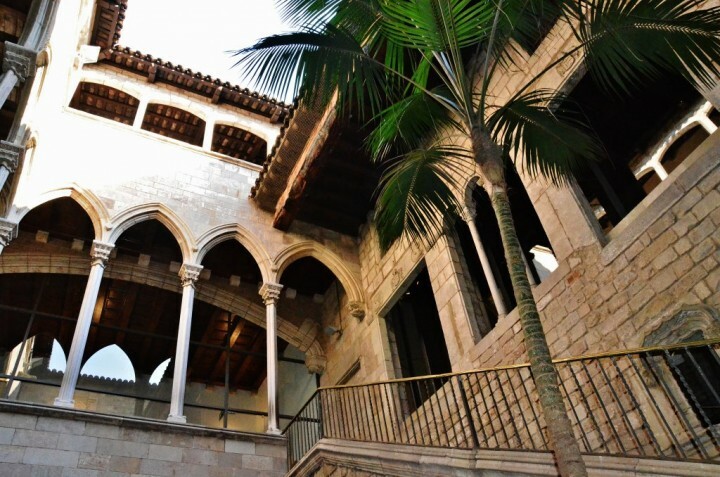 It is a building that combines the best of Gothic and Renaissance. 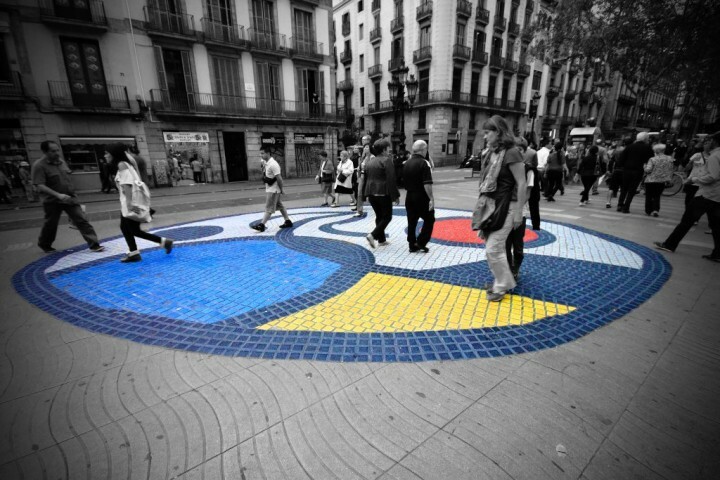 The living symbol of Catalonia, located in Barcelona, can be found just a few steps from the Picasso Museum. There are many houses in Barcelona that worth a visit and one of the most romantic of them is undoubtedly Casa de l’Ardiaca. Built already in the 16th-century this amazing house is now home to the archives of the city. 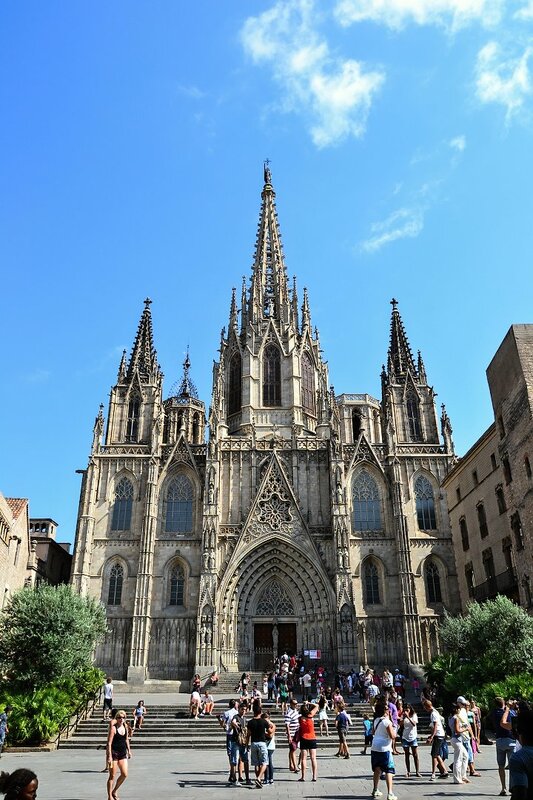 Cathedral of the Holy Cross and Saint Eulalia, known simply as Barcelona Cathedral, has been a city’s Gothic jewel since its construction in the 15th century. Although the construction started already in the 13th century. 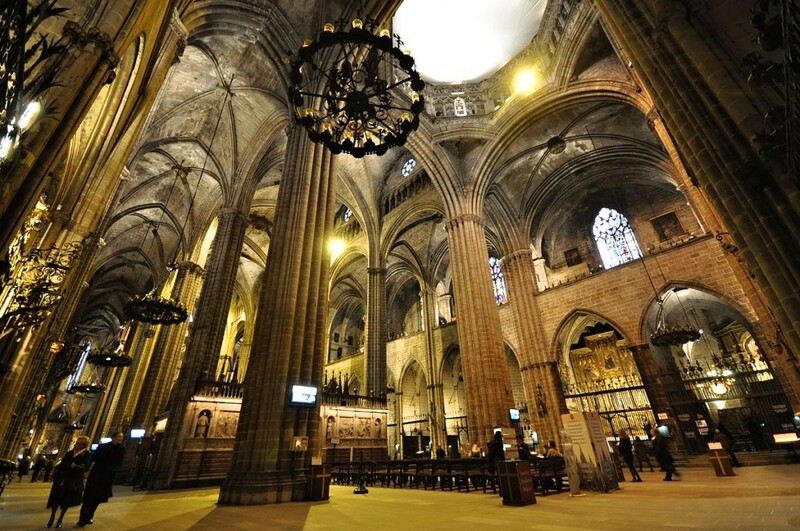 Situated in Barri Gòtic, the cathedral houses relics of St. Eulalia from the 9th century. Casa Batlló is a wonderful unique house built already in 1904 by Antoni Gaudi, ordered by Joseph Battle, rich local industrialist. Casa Batlló boasts a unique shimmering facade made of colorful mosaics with special unusual arch-shaped windows. It is worth to be seen from outside but also from inside! It reminds the Dragon House and there is no wonder – the balconies look like teeth of strange monsters. Casa Milà also known as La Pedrera is another house built by Gaudi back in 1905. 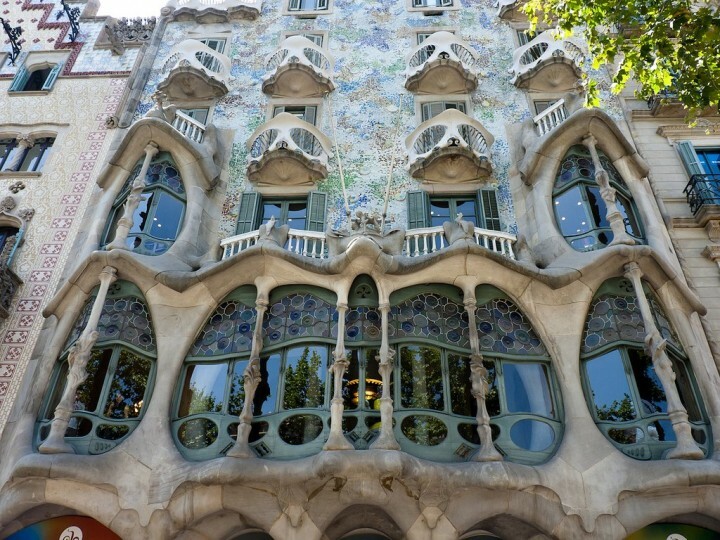 It can be found on Passeig de Gràcia avenue, which is really rich in Gaudi’s works. 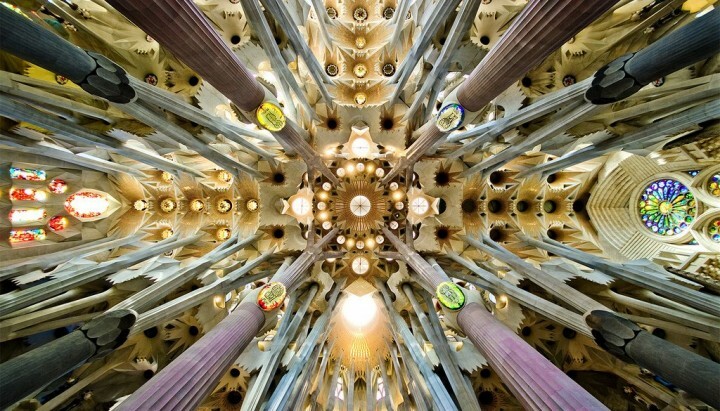 This is the most bizarre design made by Gaudi, because it looks like a scene from a dream. You can even climb to its roof during your visit. If you enjoy walking, if you plan to ask your special someone on a night walk, then La Rambla is the place where you should go. In Barcelona, this is a three-lane way that is given for pedestrians. It is a wonderful place to walk by even during the night time. 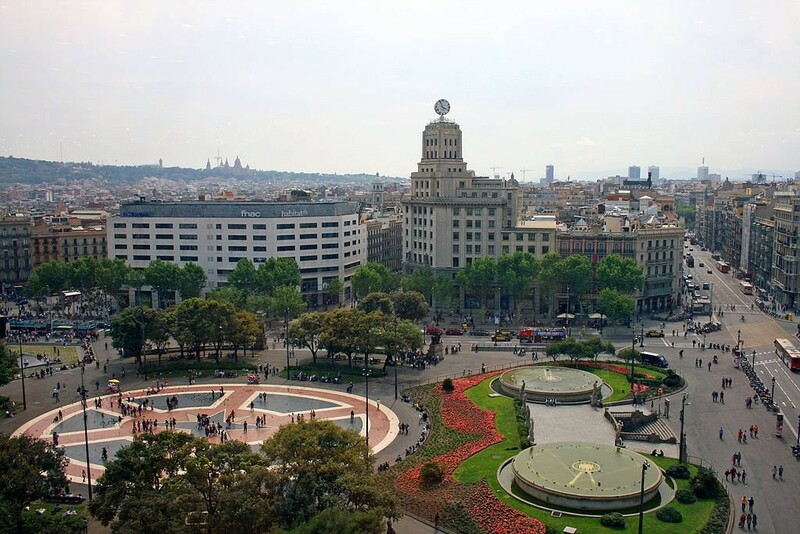 The busiest square in Barcelona and one of the largest squares in the city is none other than that of Plaça Catalunya. 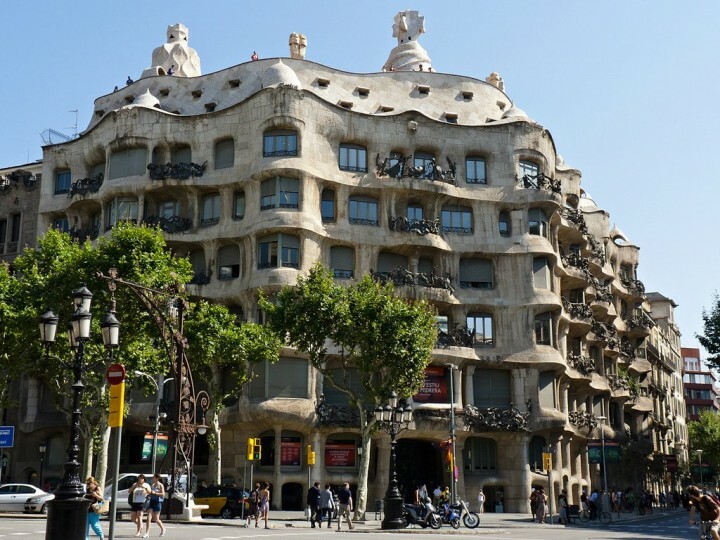 It is situated on one side of famous La Rambla avenue, but also other avenues such as Passeig de Gracia, Rambla de Catalunya as well as El Portal de l’Àngel. 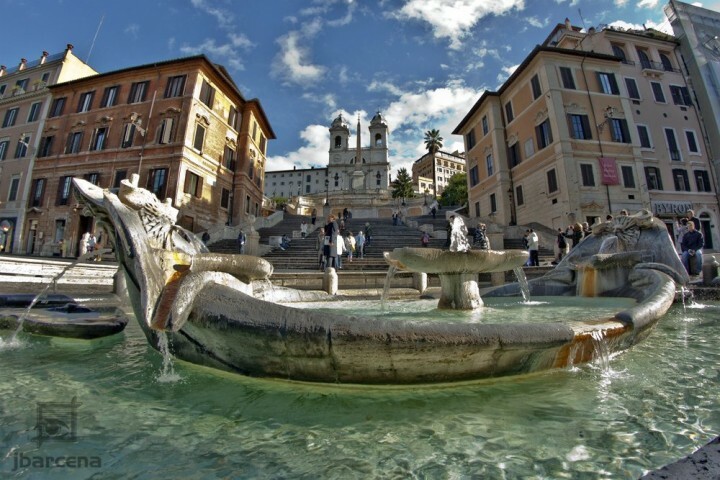 Fountains, sculptures, theaters, shopping malls, restaurants, cafes, hotels and headquarters of rich companies is what is typical for this giant square. 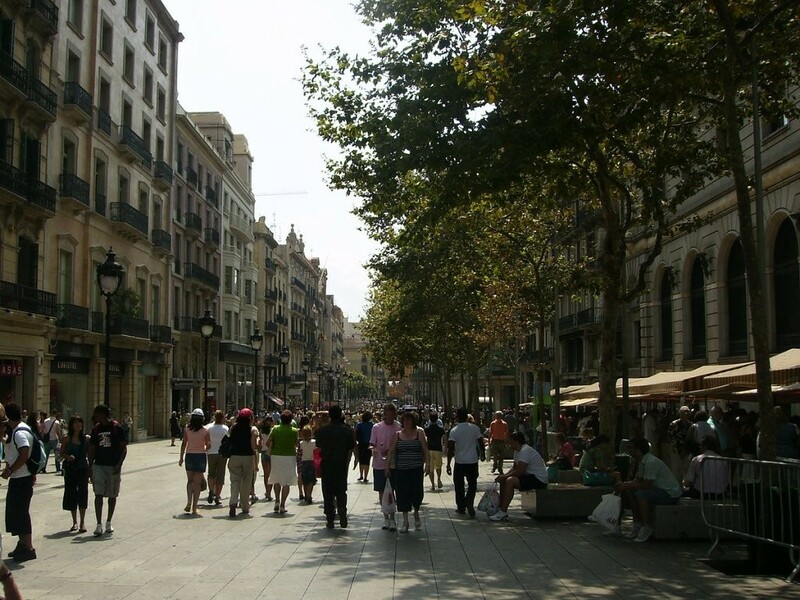 El Portal de l’Àngel is another avenue in Barcelona that is always filled with people. It is one of the most visited places in Barcelona at all and unlike in other such streets (e.g. La Rambla), the cars are not allowed here making it a lot quieter. For a relaxing experience, enjoy the fragrance of flowers that bloom in this place. There is no better place to stay after spending quite some time in the noisy streets of Barcelona than Montjuïc. 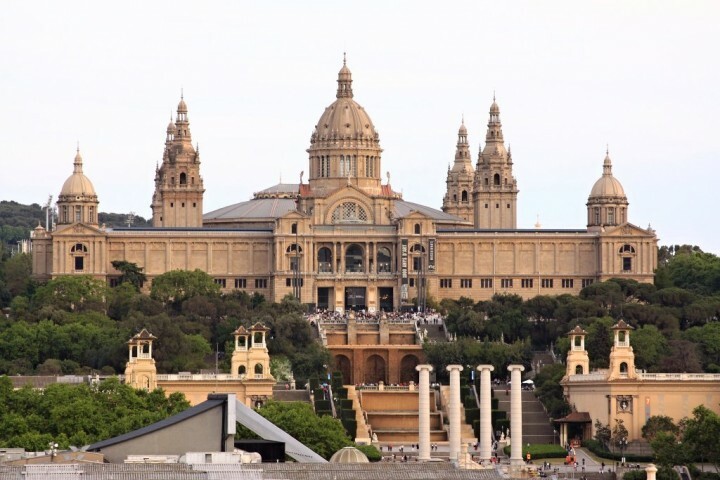 The main landmark of the Montjuïc hill is the Palau Nacional. 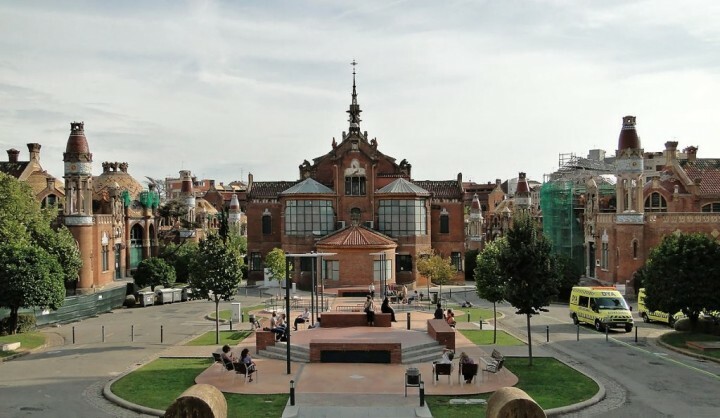 If you are a fan of Catalan Art, then this is definitely a place for you to visit as it is home to National Art Museum of Catalonia. Prepare for the breathtaking pieces you will see in this famous museum. You can notice four columns standing in front of the National Palace. 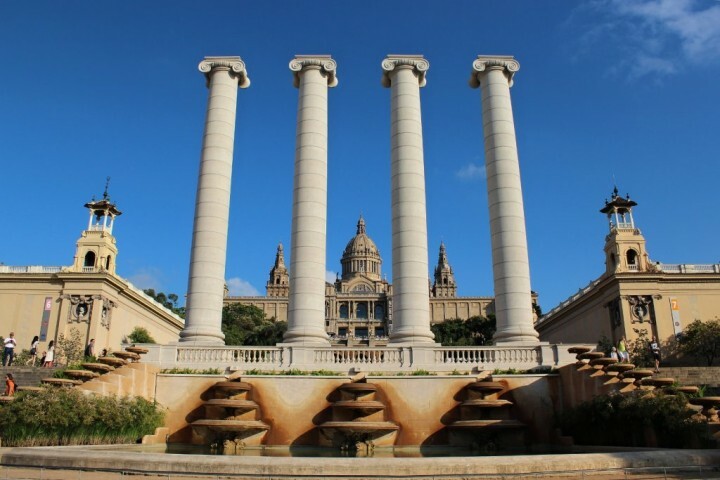 Their name is prosaic – The Four Columns and were built in 1919 as one of the symbols of Catalanism but destroyed later in 1928 when no Catalanist symbols were wanted any more. These four columns were built again in 1999. 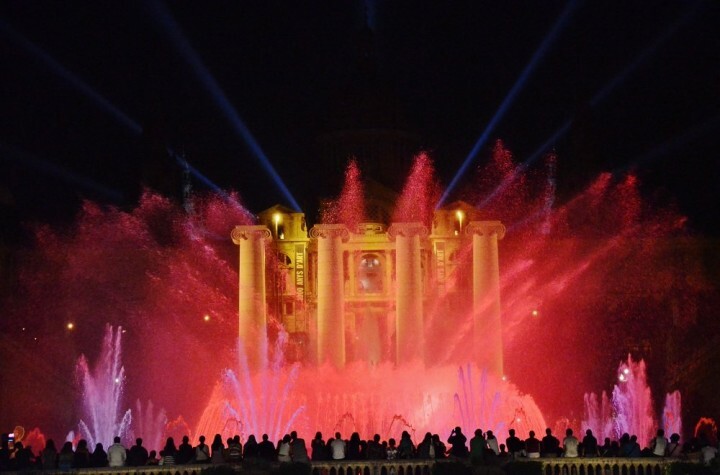 Magic Fountain is a beautiful singing fountain set on the Montjuïc. During the night offers an extraordinary spectacle composed of multicolored lights with music in the background. 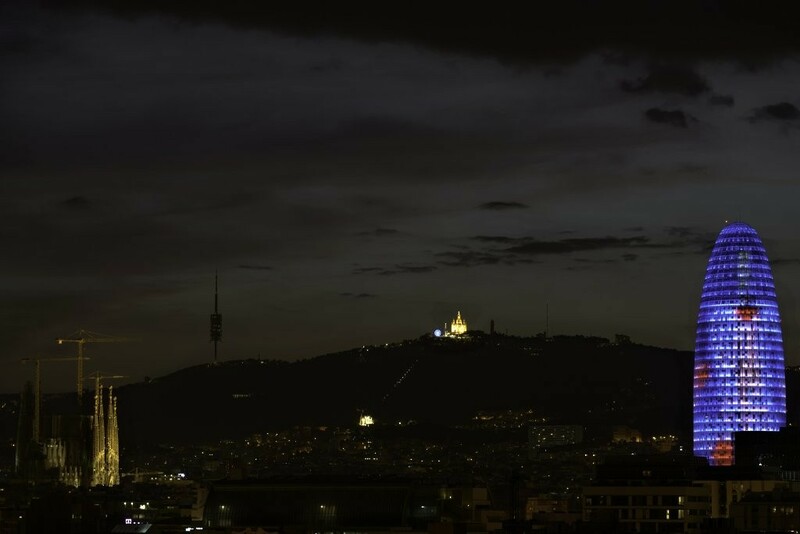 The program “Music and Light” begins every 30 minutes from 20.30 hours, so if you have visited Montjuïc already during the day, do not forget to come back again in the night, you won’t believe how much this place changed. A little bit further on the hill you can visit Olympic stadium (Estadi Olímpic). 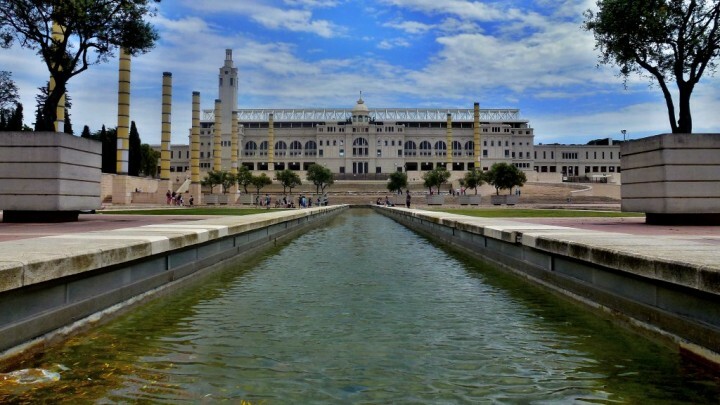 It was built in 1929 and reopened back in 1992 for Olympic Games that were played in Barcelona. The stadium, which can hold up to 65,000 spectators, and is free to visit. There is also museum dedicated to this stadium with some pictures and other memorable objects. 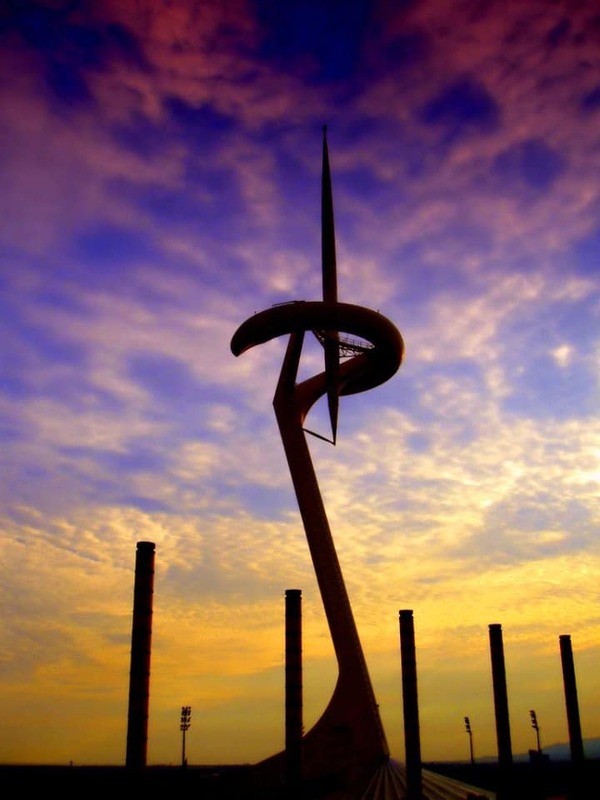 Barcelona intends to apply for candidacy for hosting the summer Olympics in 2022 which could be be nice anniversary. Right next to the Olympic stadium is a telecom tower Torre de Calatrava, which was built in 1992 on the occasion of the Olympics to transmit television signals. It has unusual shape which attracts lots of tourists. 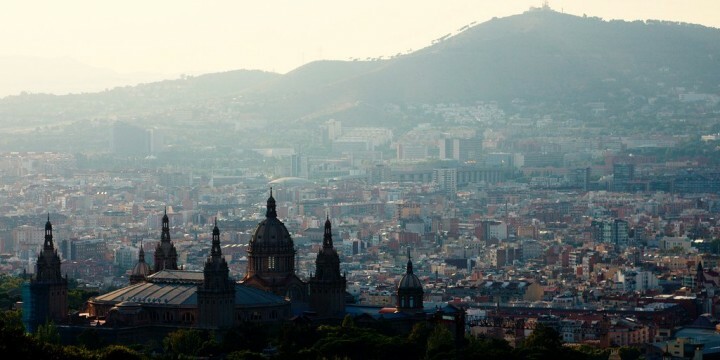 There are several ways on how you can get to the top of Montjuïc hill. Probably the most enchanting one is to get on the cable car. During your 8 minutes journey you will be amazed by a beautiful view of the city. 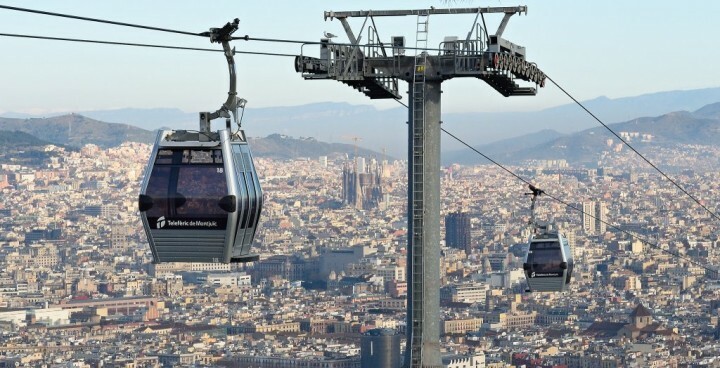 There are two cable cars running to Montjuïc from different parts of the city. However, it is also recommended to go there on foot as there is a lot to see on the way as well. If you thought that it’s all from the sights on Montjuïc hill you were wrong! Among others there is also Montjuïc Castle that was used as a fortress. There were several fortresses standing on this hill in the past, however the one you can see there now comes from 1799. Do you want to see the proofs of the excellent work of Picasso? 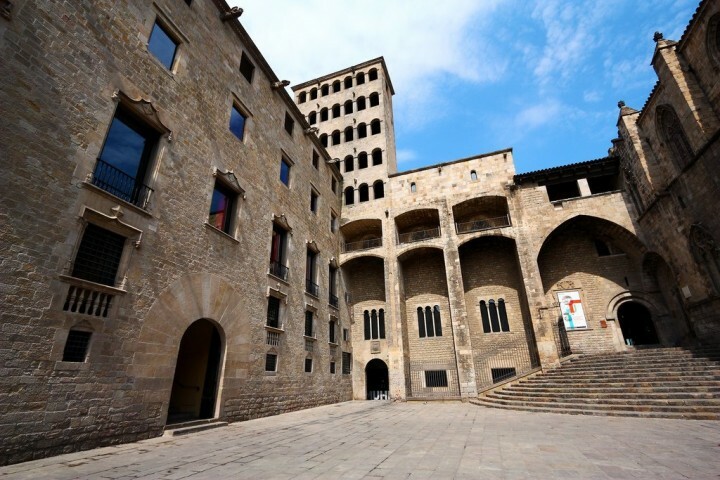 If yes, then you should go to Museu Picasso where you can see a lot of the famous artist’s work. Relieve the wonderful artistic skills of this famous artist once you are already inside this place which houses up to five mansions that all exhibits his works. Park Güell is not the ordinary park or garden, as you might feel like you are inside a magical world once you entered in this beautiful and breathtaking place. You can feel like being Alice in Wonderland because before you can enter, you can immediately see two gingerbread houses which are astonishingly beautiful. However, this idea was not accepted by the municipal councilors, so only park is there now. 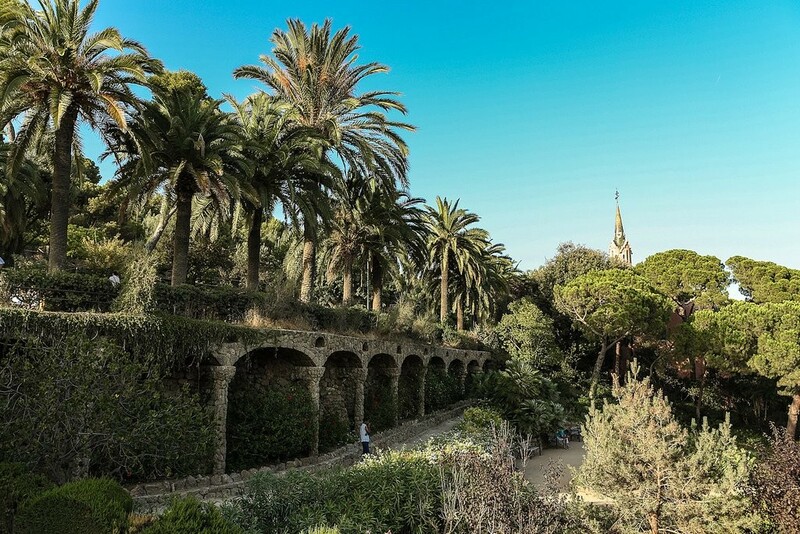 Park Güell is now a part of UNESCO World Heritage Sites. For sports fanatics out there, there is no place in other cities that can compare to Camp Nou. Enjoy watching football matches while also being amazed at how this place was constructed and how famous it became. 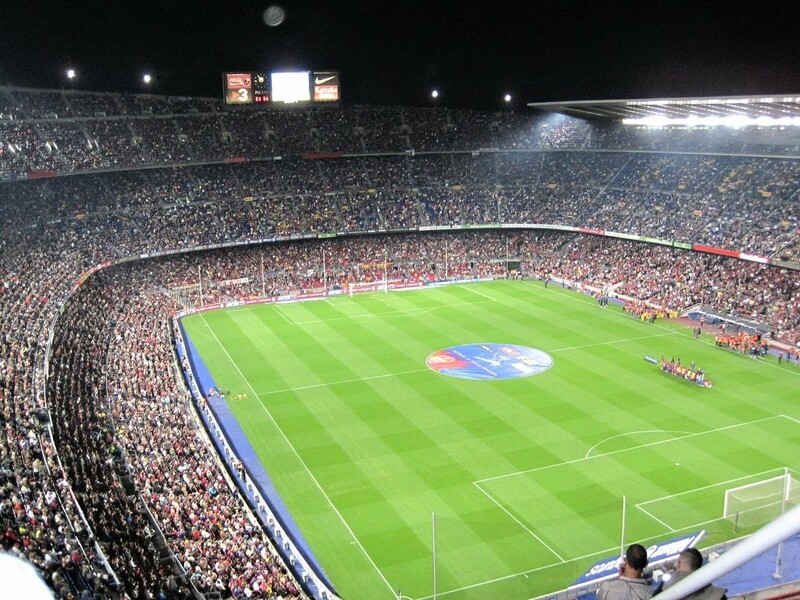 Enjoy once in a lifetime experience to be at the most famous venues of football games held in Barcelona. 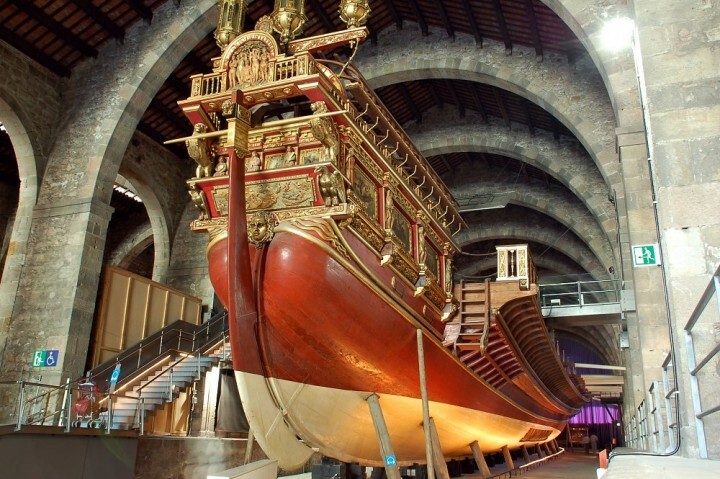 Enjoy being inside a warship while relieving the events of past wars as you are about to be given the chance to be the pilot of the famous warship that now rests in Barcelona. Visit Museu Marítim and take a look at the elegant designs and the efforts to replicate these important things of the past. The designs on the walls on the buildings in L’Eixample will definitely make you amazed. If you consider yourself to be a designer and wants to get some ideas for your next designs, this is one place in Barcelona that you should not miss to visit. 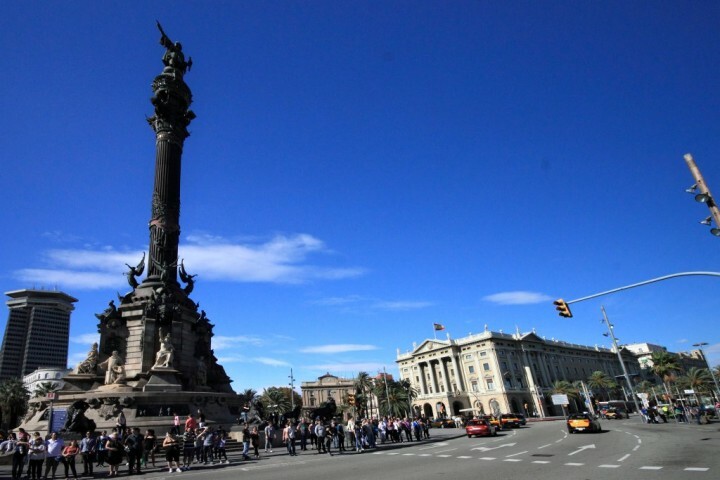 Once in Barcelona you cannot miss a symbolic 60 meters high column with a statue of Christopher Columbus. 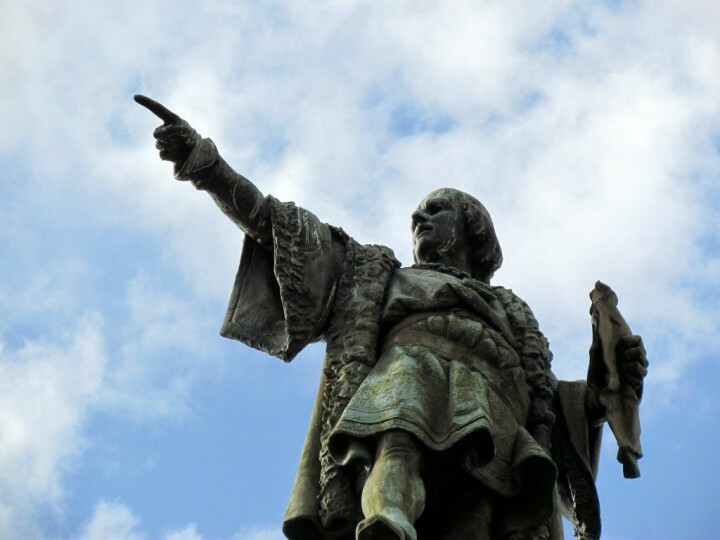 Situated at the end of Las Ramblas the famous explorer is turned back to the city towards the sea, but every Barcelonan knows that he points to America. 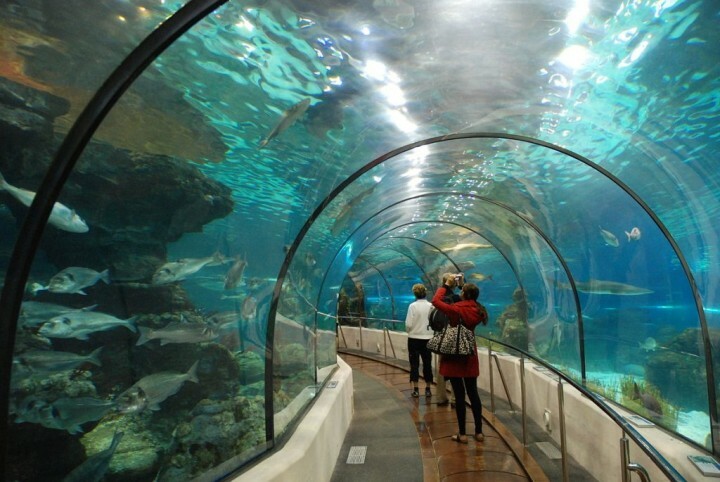 One of the most popular tourist attractions in Barcelona is its L’Aquarium. Here you can see 4,000 species of animals from all corners of the world as well as the huge tank with dangerous sharks, under which you will pass through the tunnel which is 80 meters long. Not only tourists but also locals love this park. 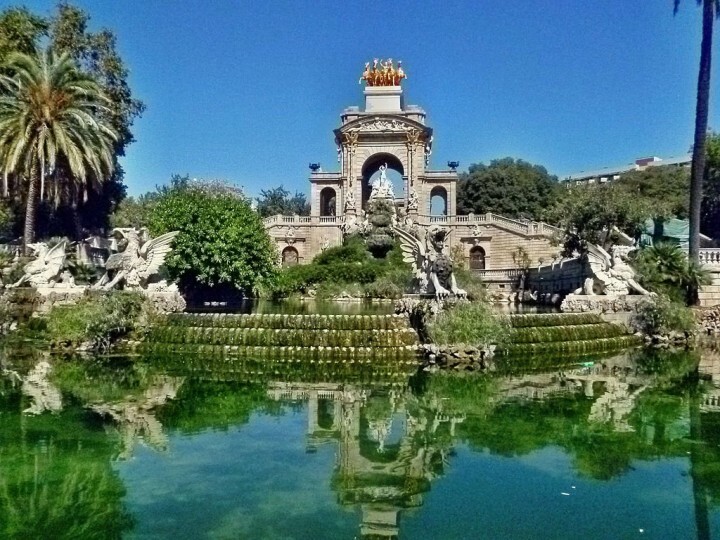 Parc de la Ciutadella is a popular place to meet with friends and is always filled with people, in the morning or in the evening. They are sitting on the grass, practicing various martial arts, lounging with friends or simply relaxing after a hard work. Try to stop here for a while as well and enjoy the unique atmosphere. Do not forget to admire the giant fountain, designed by none other than Gaudí. 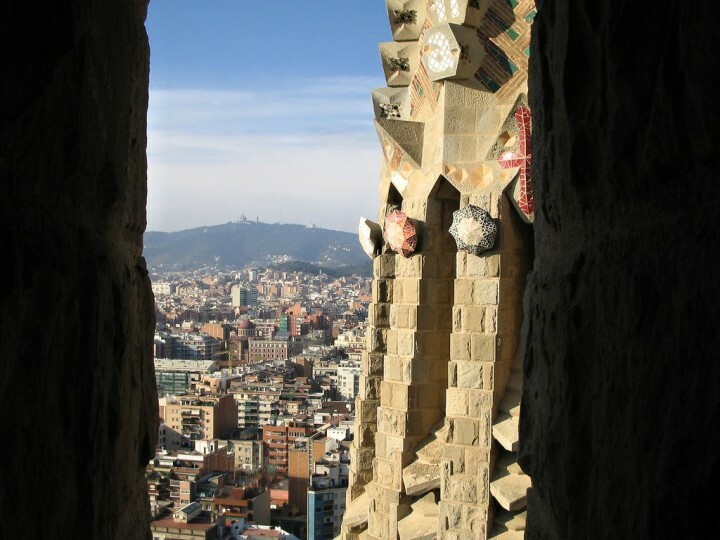 Lots of important European cities has their triumphal arcs and Barcelona is not an exemption. 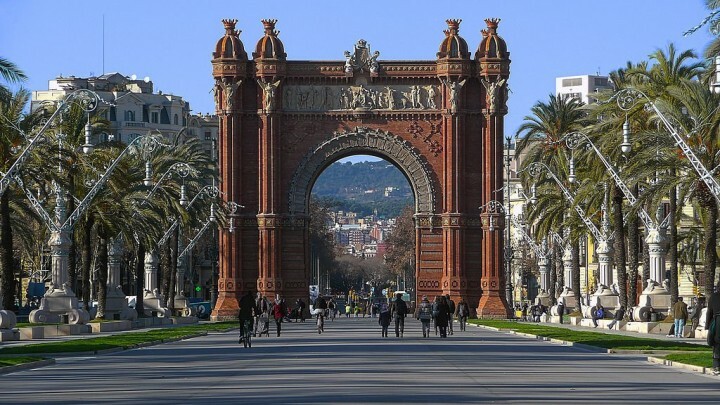 You will pass the Arc de Triomf on your way from the Parc de la Ciutadella. It is said that this one is much nicer than the more famous one in Paris. One of the most architecturally interesting buildings near the city center is the old Hospital Santa Creu i Sant Pau. However this building resembles the heroic villa rather than the hospital. But do not be disappointed if you are not sick. You can still visit this hospital as now serves as a museum, cultural and artistic center and the building itself is included on the UNESCO list. Who wouldn’t like the huge ships and boats resting in the ports? If you head to Barcelona, it would be a sin not to visit the local harbor. Its behind the famous La Rambla, and is called Port Vell. It is not too large, so 20 minutes should be enough to stroll here. Spain is well known for their dolphinariums, aquariums and other attractions related to the marine world. 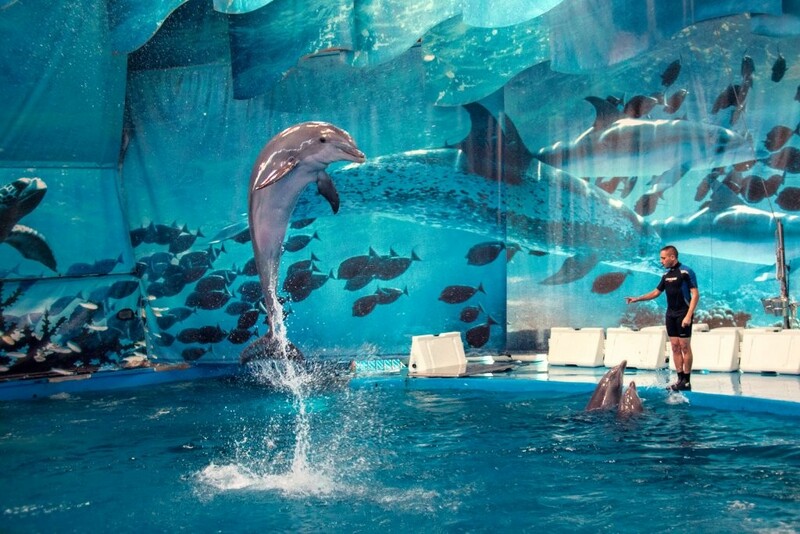 The country has the highest number of dolphinariums in Europe. And Barcelona boasts having one of them. It is located in Barcelona Zoo along with other animals from every part of the world. Tibidabo is the highest mountain of the Serra de Collserola natural park that spreads around Barcelona. 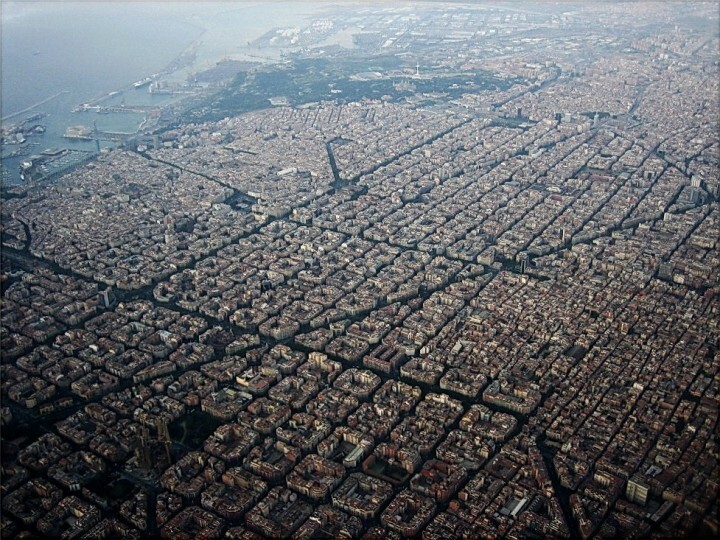 If you want to see Barcelona from above then there is no better place to go. Apart from amazing views of the city there are plenty of great attractions to visit. 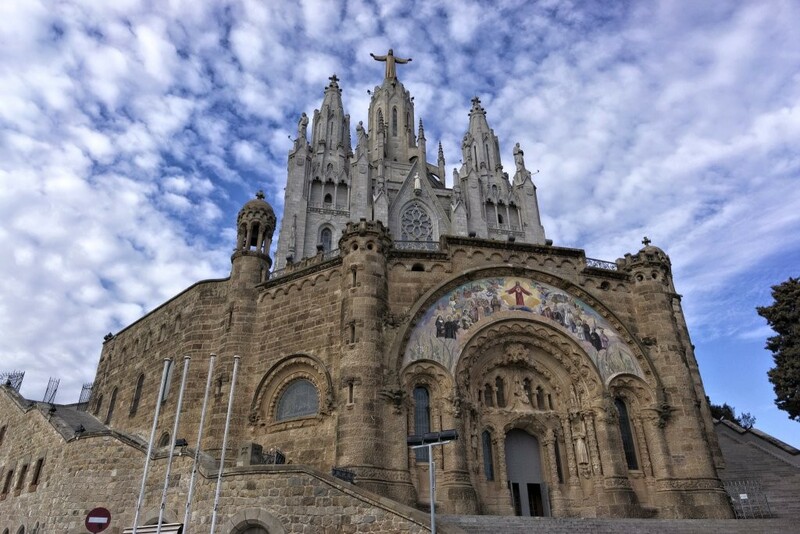 Once you’ll be in Barcelona you will be asking yourself – What is up there towering on a top of Tibidabo hill? Well, that’s another city landmark – Temple de Sagrat Cor. Church which construction was finished just recently, in 1961. 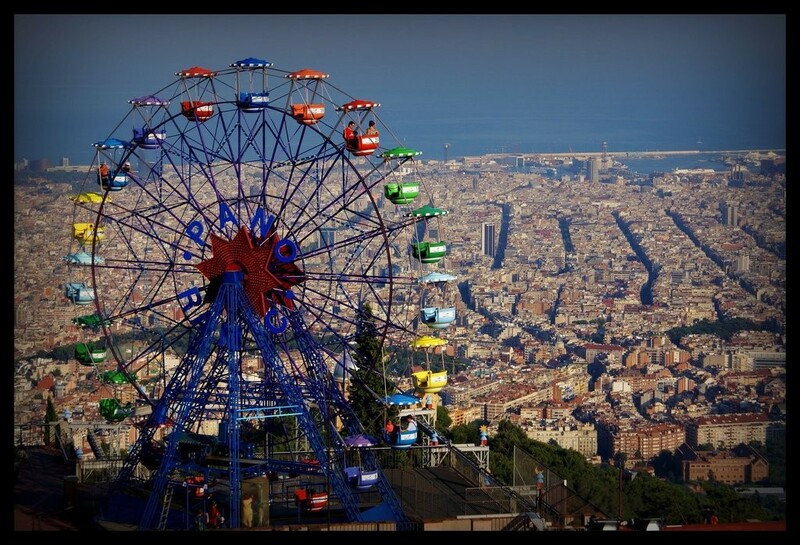 Tibidabo Amusement Park is one of the oldest amusements park not only in Barcelona, but throughout Europe. Visit any of the 25 attractions of this more than a hundred year old amusement park. It was opened back in 1901 and some of its attractions have been in operation since its beginning. Not an ordinary museum, CosmoCaixa is perhaps the most popular museum among Barcelona’s schoolchildren. 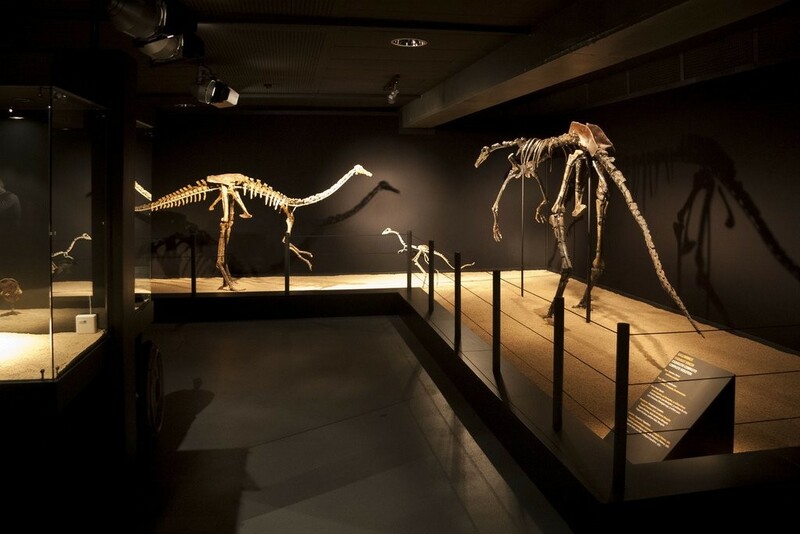 It is a science and technology museum that has been opened back in 2005. With its space of more than 30,000 square meters it is not only the largest museum in Barcelona, but also in Spain. You just must see it! 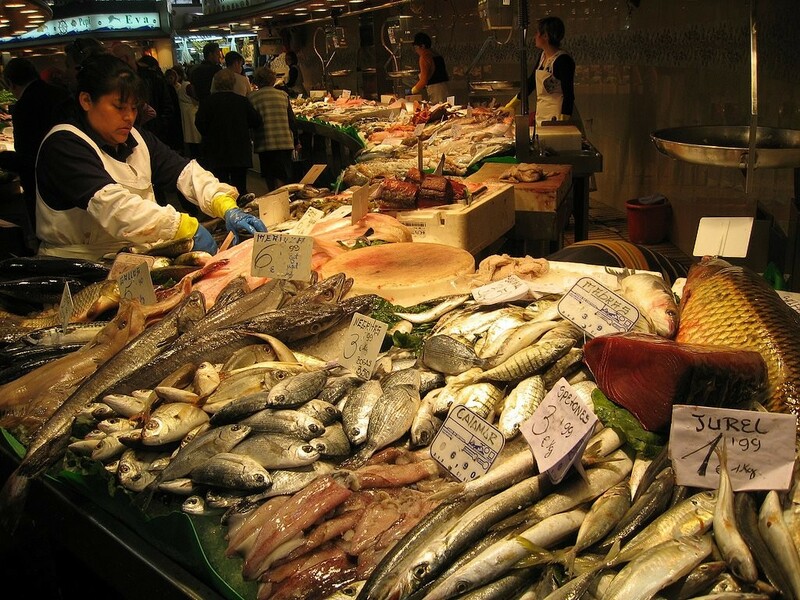 Enjoy real Barcelona and visit the marketplace Mercat de Sant Josep de la Boqueria. Fruits, vegetables, fish, meat or sweets – all in one place and exposed in the way that you will not leave this place without buying some of them. It is the oldest market of this type in Barcelona as it has been here since 1217. Torre Agbar is 144.5 meters high circular skyscraper made of concrete and glass, which can be found a short walk from the very heart of Barcelona. 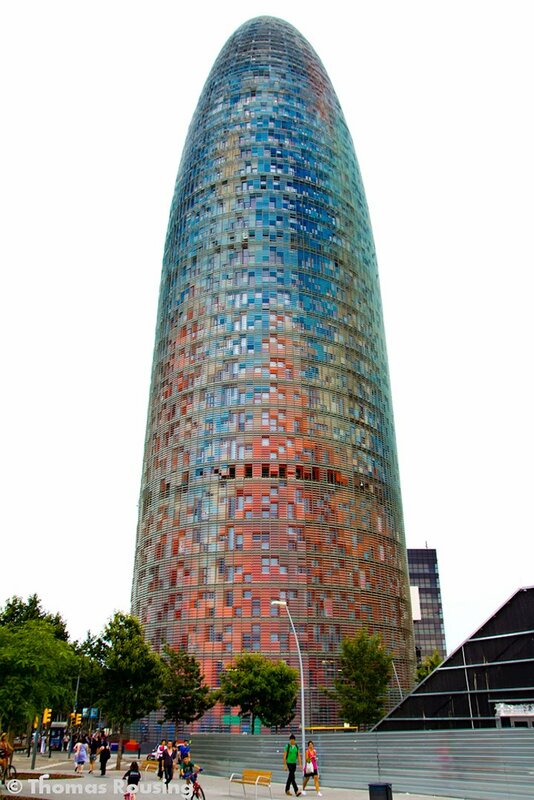 This tower was built by the architect Jean Nouvel between 2001 – 2004 and its price was 130 million euros. Once you finish with sightseeing and exploring all Gaudí’s art works, there is one place you could take your time and relax for the rest of the day. 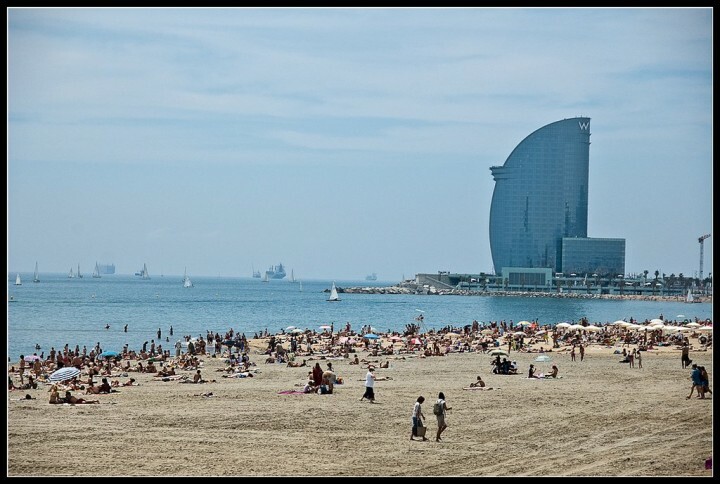 Barceloneta is the most popular beach in Barcelona offering great views of the city. 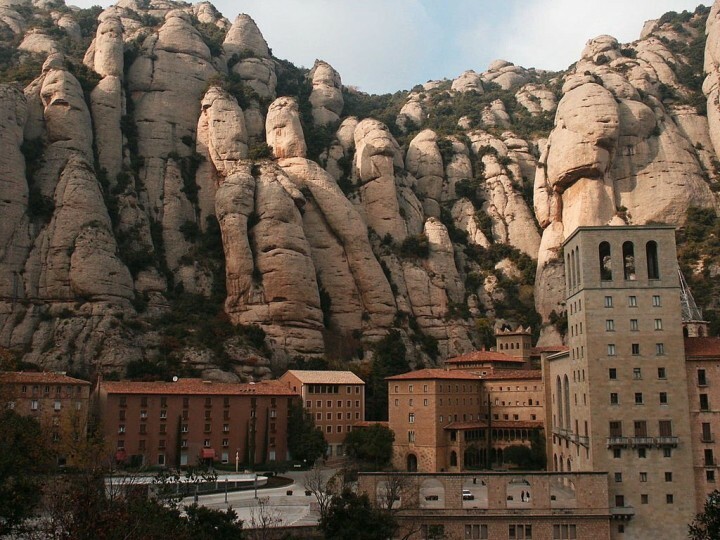 Montserrat mountain is located about thirty kilometers northwest of Barcelona. The massif consists of rounded rocks of limestone origin which gives the place fairytale atmosphere. But it is not all, in the mountains, there is a Benedictine abbey with the cathedral of great significance. Cathedral is home to the statue of the Black Madonna and Child from the 12th century, made entirely of wood. 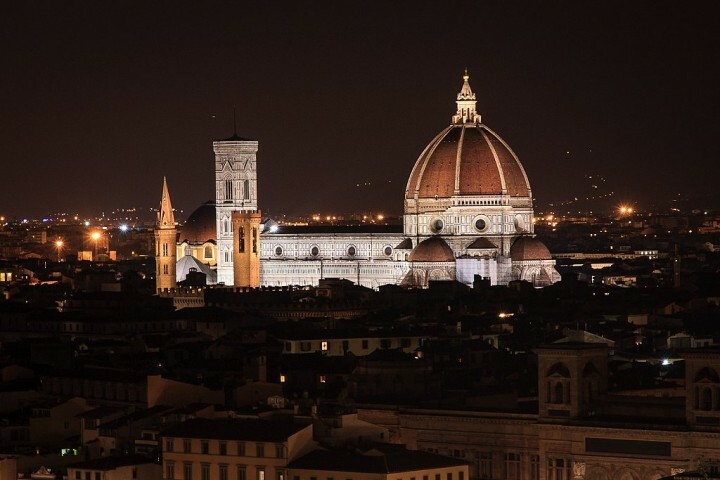 This cathedral is sought after by pilgrims from around the world. There are day tours from Barcelona to Montserrat. 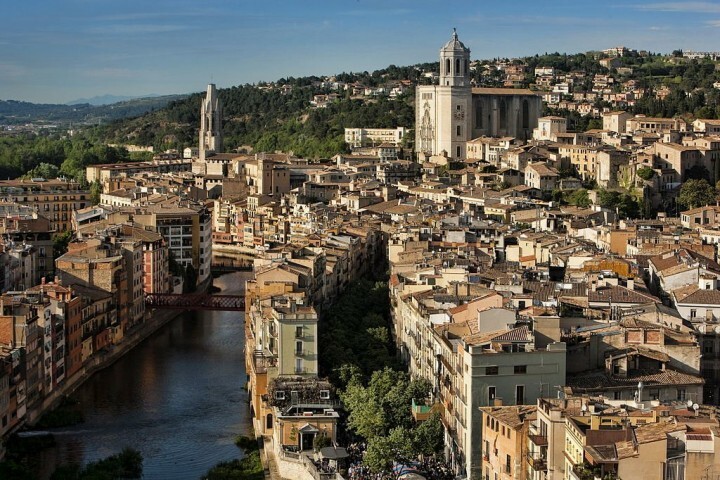 Girona is one of the largest cities in Catalonia and is also called the “Gateway to the Spanish coast.” This typical Catalan town has also a lot to offer to its visitors. Houses built in typical Catalan style, unique historic center with so many sights and its main landmark – the Gothic Cathedral. 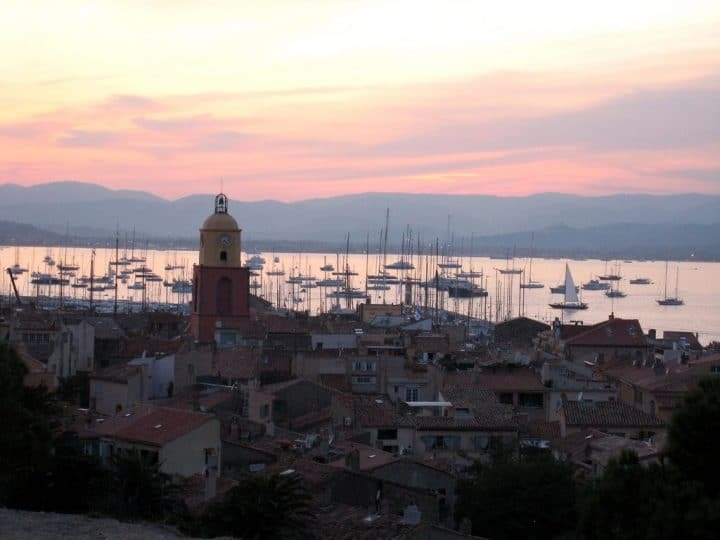 Costa Brava needs no introduction. Its sandy beaches washed by the warm sea, sunny atmosphere and typical Mediterranean nature attract tourists from all over Europe. No doubt it is one of the most popular summer holiday destinations in Europe. 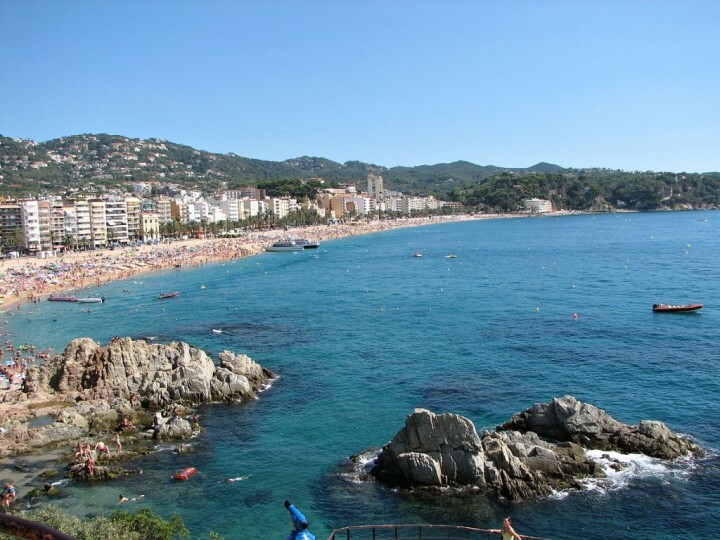 Choose any of the resorts such as Lloret de Mar, Malgrat de Mar, Callela or Blanes. How to get to Barcelona ? To get to Barcelona, you can search on our partner’s website Skyscanner. To stay in Barcelona, the choices are numerous, according to your desires. 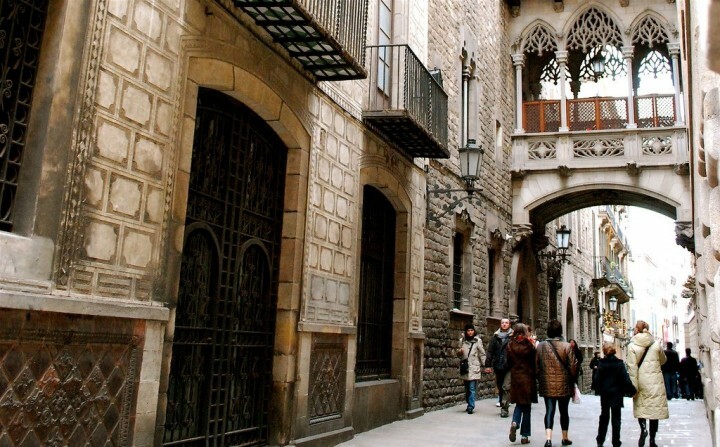 Want to unravel the secrets of historic Barcelona? Choose the Gòtic or Born neighborhoods. Are you looking for a village life in the heart of town? Choose the districts Gràcia or Sant Antoni. Would you like to live in a cheaper and lively neighbourhood? Choose the Sants or Poble Sec neighbourhoods, you are looking for a lively neighbourhood in a modernist setting? Choose Eixample Esquerra or Eixample Dret neighbourhoods. Do you want to tan and breathe the open sea all year round? Choose Barcelonata or Vila Olímpica. Are you a pioneer and listen to unknown artists? 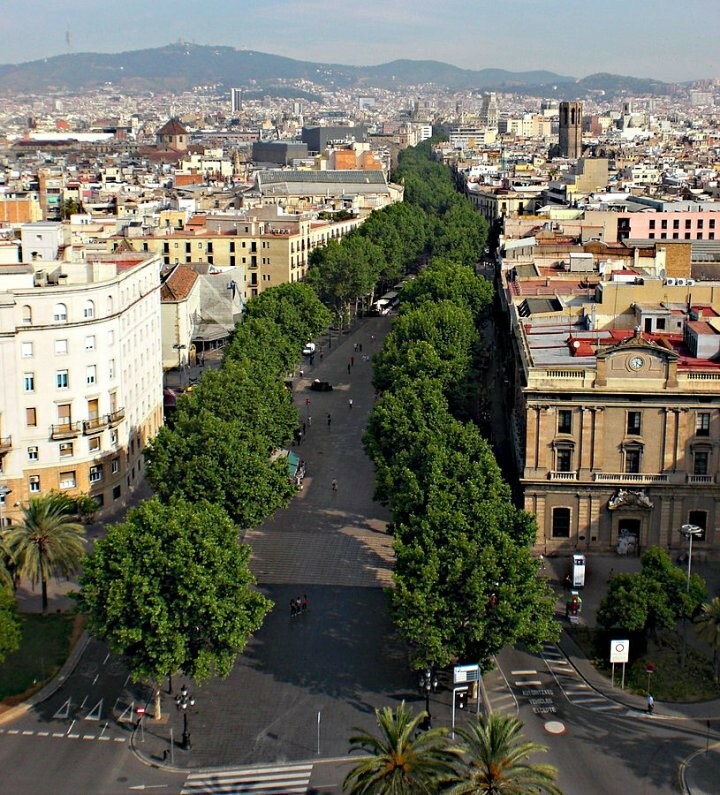 Choose the Raval or Poblenou districts. 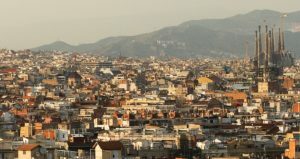 Whichever neighborhood you are staying in, you can find a cheap hotel in Barcelona by searching this hotel aggregator. Wow, what a great list! Before I started to write this guide, I have never thought that Barcelona is so rich on sights and places to go. I’ve been to Barcelona long ago but have seen just a few of these jewels. And what about you? Which of these places have you chosen on your trip or are there any more that should be included onto this list? i’m looking for some new things about Barcelona in order to publish in my segway blog. i’m very happy to be part of Barcelona. Thank you so much for sharing this nice and good article. I love my city!!! 🙂 It has so many things to offer! What beautiful buildings! I ‘ve yet to go to Barcelona, although my parents are there in November will have to point these out to them! Great list. I’ve been twice but there’s LOADS of places on that list that I’ve missed. I’ll def consult this list for my next trip to Barcelona. Wow there is literally so much to see and do in Barca you could stay there for a year and not get bored! I visited when I was a kid as my gran lived there but never really got to see it properly…or that I remember! Really would love to go back again now I can appreciate it! I only had 2 days when I went so it looks like I missed a lot!!! Wow, I am bookmarking this! 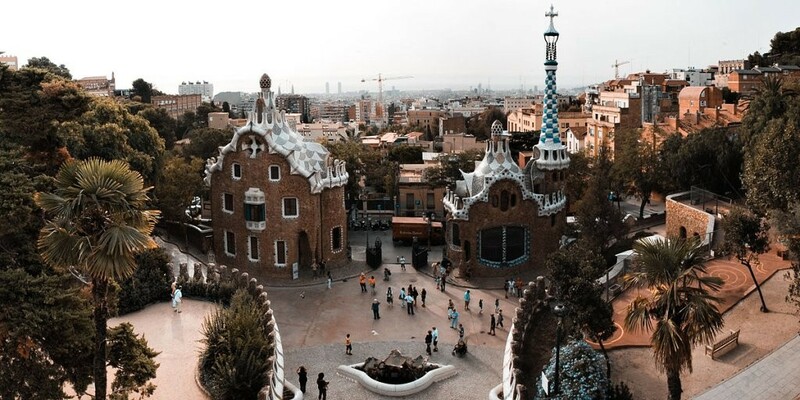 We are dying to go to Barcelona, and I love all of these wonderful tips! Thank you! I loved the beach and park guell! We enjoyed barcelona, we shopped, went sight seeing, enjoyed our time in the beach and then watched a flamenco dancer. Almost every building is so beautiful and picturesque! Can’t wait to go to Barcelona.